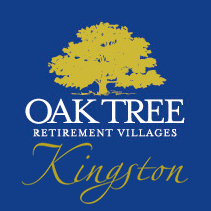 Health Jigsaw is excited to be launching a wellness program to help keep the residents of the Oak Tree Retirement Village in Kingston active and healthy. We will start with an Active Residents Class (ARC) later this month. ARC is a low-to-moderate intensity exercise class suitable for anyone who hasn’t exercised for a while. Come and try it out the first class for free. What to wear: Comfortable casual clothing and well fitting shoes. What to bring: Water and towel as well as any medications you might need while exercising. Before the class: Make sure you have had a light meal at least 2 hours beforehand. How do I get involved: Let Peter (Village Manager) know if you would like to attend. improve your balance and flexibility. Health Jigsaw is a well trusted mobile personal and fitness training business and our personal trainers have been helping clients get fitter, stronger, faster and healthier since 2004. We have trained many clients who are in the 55+ age group. If you are in this age group and want to improve your health and well-being, we are here to help you.